Ready for the next month! - Pebbles, Inc.
Ready for the next month! Hello friends, it’s Lucile ! Today, I find you to show you how I prepare my month of April in my travelers. 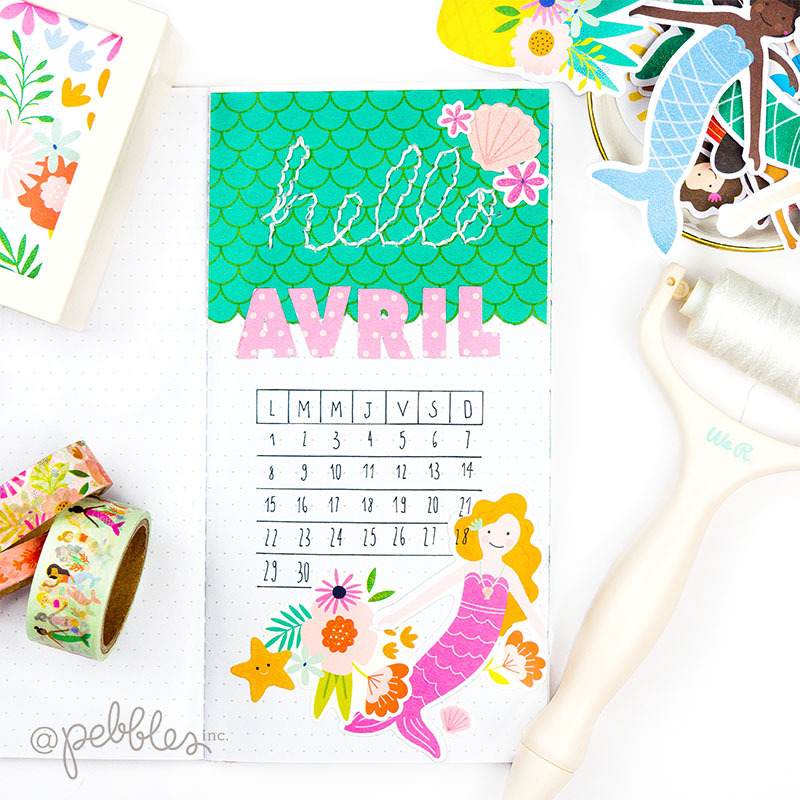 I use a travelers daily to organize my life and I love decorating it! 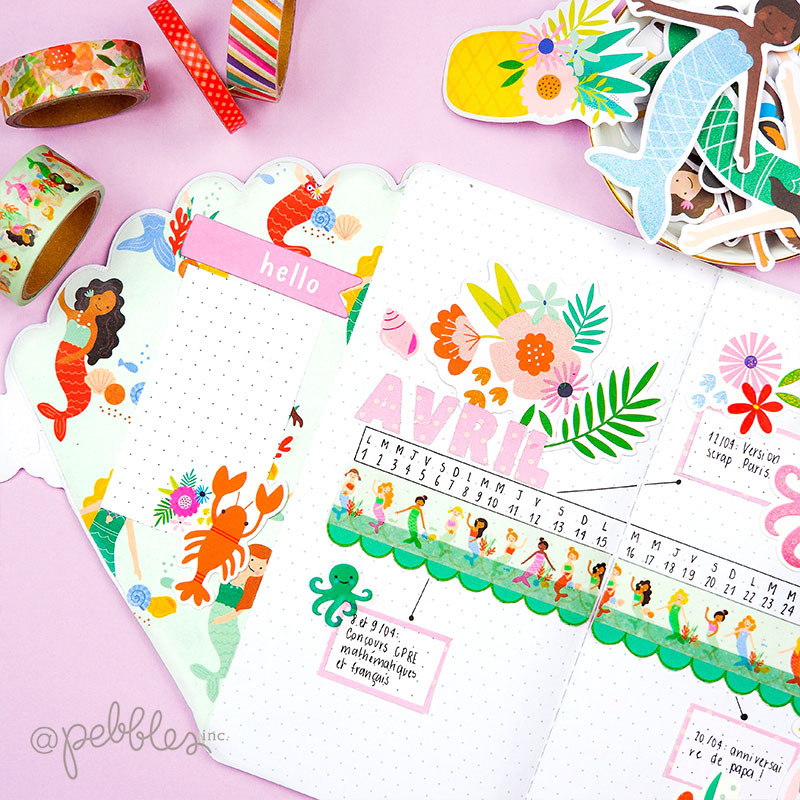 This month I wanted to add mermaids, so I chose the “Oh Summertime” collection. To make the first page, I started by using the Stitchpen of we’re memory keepers to write “hello”. Then I used my Cameo Silhouette to cut the letters. If you want to see the realization in detail I let you go see the video at the end of the article. 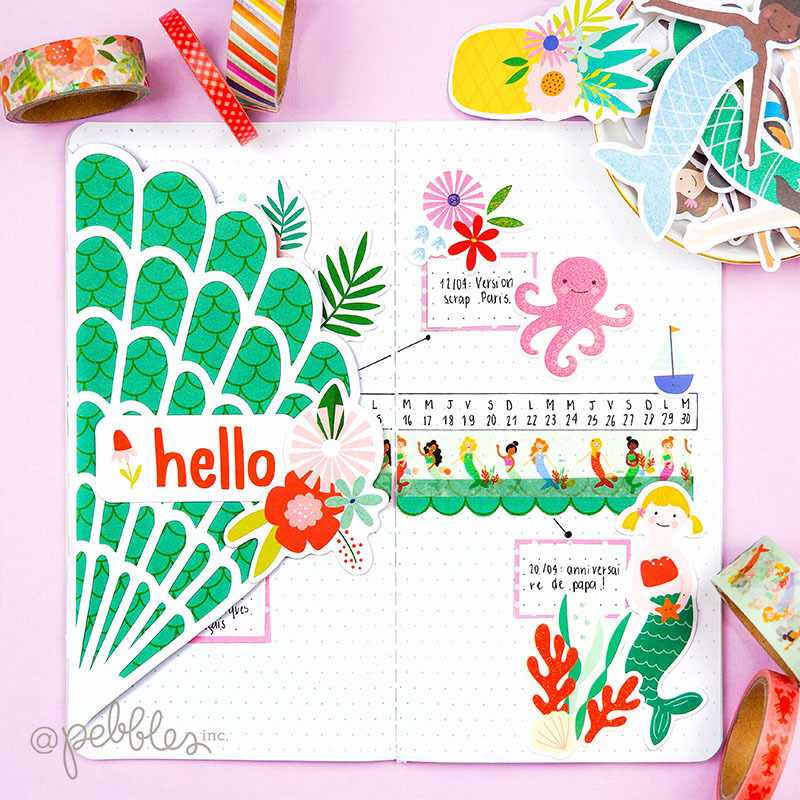 For my monthly page, I started by adding a space that I pasted to my page. I cut a half shell to create a flap. I decorated it by adding stickers and die cuts. I organize my monthly view with a time lapse. I note important events in boxes. I decorated everything with papers and embellishments from the collection. Inside the flap, I added a note space. I cut a piece of a page that I pasted and I add stickers. Finally, I created two pages of trackers. 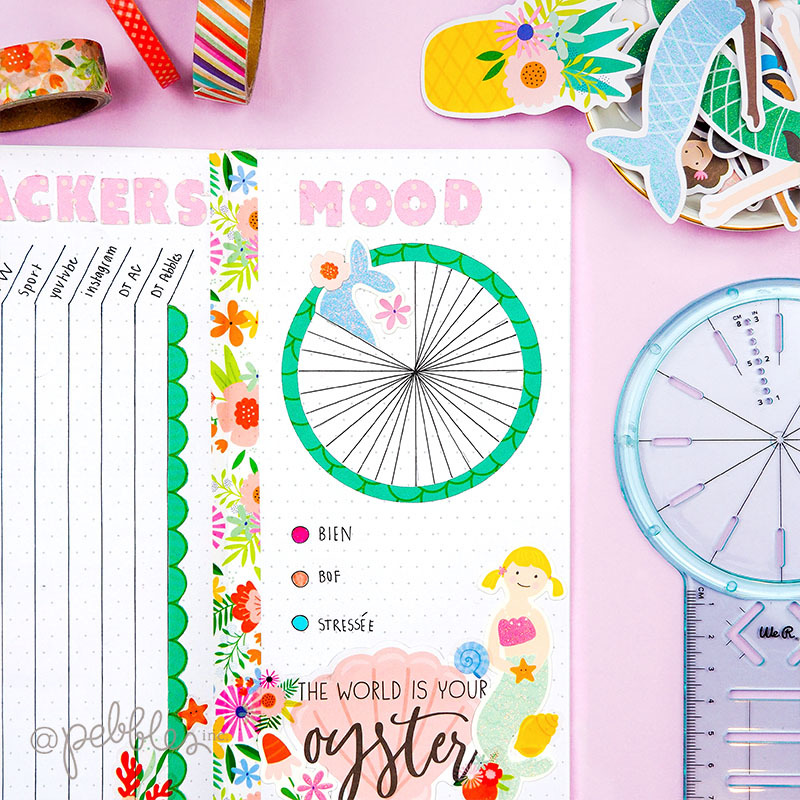 To create my mood trackers I used the tool of We’re Memory Keepers. It’s very convenient to create these layouts. I ended up with my favorite part, decoration! Now I’m ready for the coming month! 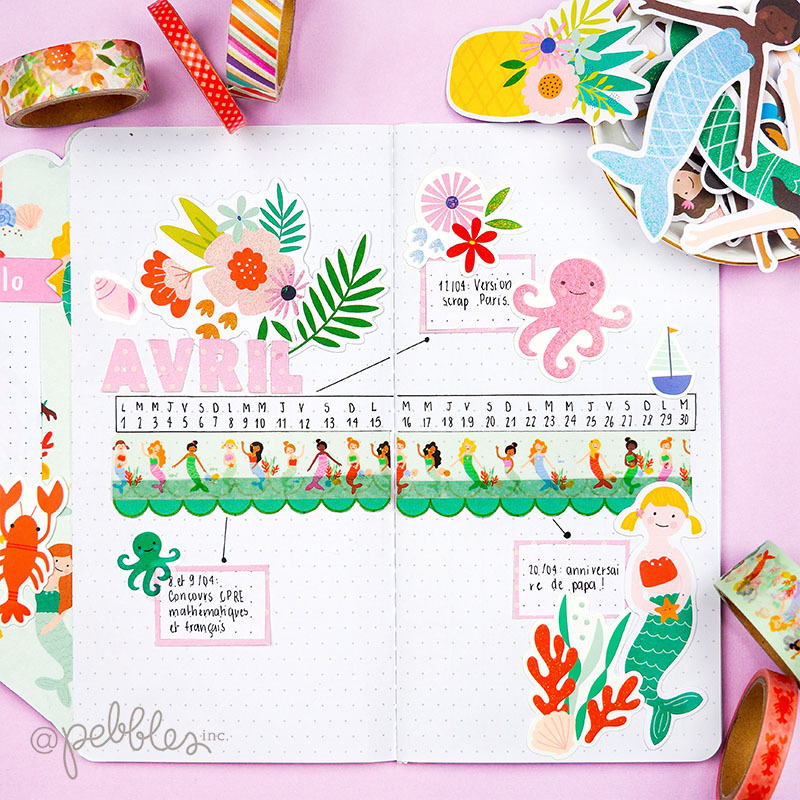 Have you prepared the organization for your month of April? See you soon for a new creation!